Getting Back Into the Race? 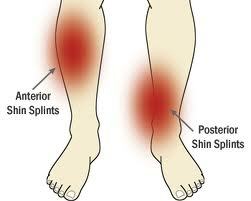 Beware of Shin Splints! Now that fall is arriving, running is back in season! Maybe you took a break over the summer with the heat and has restarted your running routine again. Well slowly get back into the mileage you had before the scorching summer heat began. Your legs will thank you for it! Shin splints commonly occur after you start a work out that requires repetitive movements such as running. Shin splints are caused by inflammation of the leg muscles from over-use. You may be able to resolve shin splints just by switching shoes or slowly increasing your run time. Treatment at home includes rest, ice and anti-inflammatory medicines if you are not allergic. However, if these treatments are not helping relieve your pain, your podiatrist can make you custom orthotic arch supports and provide many other treatments specific to your activities. If you pain from shin splints persists, then call Advanced Podiatry at 813-875-0555. The longer pain lingers, the harder it is to treat! The doctors at advanced podiatry have treatment options for every age or activity level to treat your pain today! Pain in the Back of Your Heel?